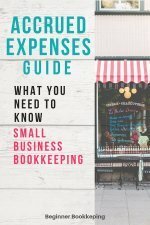 These tips to start a bookkeeping business will help you gain some perspective on how achievable it is for you. Don't be put off or disheartened if you discover that you are lacking in any of the areas mentioned below. If it is something you really want to do then press on... make a plan to achieve what needs to be achieved, make a budget so you can pay to receive the coaching that you need to get. Write up your main goal as a headline, print it out and stick it somewhere you can see it, such as "I want to be self-employed", "I want freedom to work at my own pace", "I want to be at home with the kids more", "I want flexibility with my working hours". This is your motivation to not give up. Start bookkeeping training and start your bookkeeping business at the same time with no experience. You will receive training, guidance and coaching in both these areas. >>Check out how to do that here. To start a bookkeeping business you need to receive bookkeeping skills training. This will give you enough knowledge to offer basic bookkeeping services to small businesses. ... with experience comes confidence. The more experience you have, the more confidence you'll gain which will be obvious to a prospective client. However, it is not an absolute requirement because you can always find yourself a coach or mentor, or join LinkedIn and Facebook groups to get guidance when you get stuck on something as you work on a client's accounts. The cost to start a bookkeeping business will depend on where you will work from – your home or an office. If you are starting from home this will immediately cut down costs because there will be no office rent. You can also claim home office expenses to reduce the tax you have to pay to the government. Working from home is the best way to do it to start with until you are making enough profit to rent an office in town. However, if you have a nice enough home office you may as well stay there. You can always visit with clients at a coffee shop or some other quiet meeting place. There could be other start up costs such as telephone and electricity connections (unless these are already part of the rental). Good bookkeeping software (like Quickbooks or Xero) is a must. It is advisable to get a program for professionals that includes bank reconciling, accounts payable and accounts receivable, inventory control and a good range of reports. 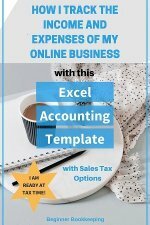 ...but for a bookkeeping business I recommend purchasing the advanced program because it will enable flexibility in what you can offer to a client, and will prevent you getting frustrated with the inadequacies of a basic program. Prospective clients may have already purchased bookkeeping software and will be able to give you a login so you can access their data online. I also recommend you get Microsoft Excel which can be used on PC's or Macs. 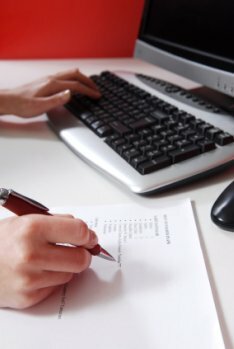 Most bookkeeping software will allow you to export reports to Excel for manipulation so you get them to look how you want and to present them to your clients in a unique way. Word of mouth is one of the most powerful methods of gaining new business! If you are not strong at marketing you can always get some training - just look online. If you can get just one customer to start with and offer them an amazing service, they will definitely recommend you to their business friends and acquaintances. Don't expect to have dozens of clients flocking to your door in the beginning. It takes time and hard work to build up a loyal customer base, and it also depends on whether you are in it to expand and become an employer, or if you prefer to stay small and on your own. 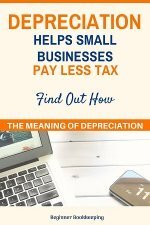 You will need to do some research to find out how much other bookkeeping service providers in your region charge. The usual method is to have a set charge per hour, or have a set amount for certain types of work such as $100 per month for bank reconciling and reports, and then charge $1 per sales or purchase invoice prepared, and so on. (This is just an example). Gabrielle Fontaine of The Freelance Bookkeeper has some great resources and information for bookkeepers to manage their businesses and provides a break-even calculation sheet that will help you work out how much you need to earn to cover your costs and make a profit, and also how to go about charging set rates per type of service rather than an hourly rate. A really great group on LinkedIn is Bookkeepers Club - you can ask a question and immediately get responses from many, experienced bookkeepers and accountants - it's awesome. You need a LinkedIn profile to join the group. Sometimes your client may ask you to do something or ask you an advanced question that you do not know how to answer. It is a good idea to develop a relationship with an accountant or someone who knows more than you so that you can find out about the more complicated stuff when it comes up. In the meantime, you could continue on with more advanced bookkeeping and accounting studies and qualifications and then be the person that helps other beginner bookkeeping providers! These are just some of the basic factors to consider to be able to start a bookkeeping business.